Each year hundreds of artists come together in support of A.I.R. Gallery by donating a small work for the annual postcard show. Past exhibitions have included work by notable artists, including Mary Beth Edelson, Dottie Attie, Mary Grigoriadis, Barbara Zucker, and many more. 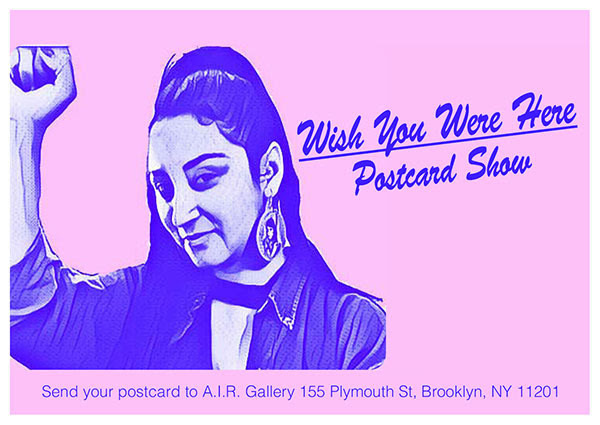 We invite all artists to participate by donating a postcard-size work (6×4 inches) in any medium relating to the theme of immigrant rights and advocacy. Each original work is sold for $45 and all proceeds go to benefit A.I.R. Gallery programs.